I'm not saying the original 3DS is bad. I'm not saying that at all. What I'm saying is that the New Nintendo 3DS seems so good. It would've been nice to have this from the get go. But, wait, you say, what is this? What's so damn new about it? The New Nintendo 3DS is a revamped 3DS with a corny "New" in its official name. There is nothing corny about this handheld, though. It's as though Nintendo took a long, hard look at what was lacking and then tried to address that with the New Nintendo 3DS. The hardware comes in two flavors: standard-sized and XL (which is called "LL" in Japan, because there is no "XL" clothing size). These units are slightly different dimensions from the previous hardware. Be aware that the New 3DS XL does not have a larger screen. If you need more comparison info, check here and here. What's more, it does not have faceplates that can be swapped out like the smaller NN3DS. In Japan, Nintendo is charging 1,000 yen for simple colored face plates and up to 3,000 yen for more elaborate ones. This is probably easier (and cheaper) for Nintendo than releasing special edition NN3DS handhelds. Those who like special edition hardware, take heart: Nintendo is releasing limited edition NN3DS XL units as the consoles don't have faceplates. There are also new ZR and ZL buttons. They are fairly comfortable, and you can easily press them with the tips of your fingers and then press the R and L shoulder buttons with the middle of your finger, no problem. At least, I could. For extra storage, the New Nintendo 3DS also uses a Micro SD Card, which is located under the handheld's cover. And what about juice? The battery life for the New Nintendo 3DS is from 3.5 to 6 hours, while the battery life for the New Nintendo 3DS XL is from 3.5 to 7 hours. In comparison, the "old" 3DS has a battery life of 3 to 5 hours, and the "old" 3DS XL has a battery life of 3.5 to 6.5 hours. Let's suss out what I liked and what I did not. Ready? Speed: Thankfully, the New Nintendo 3DS is faster. It downloads and boots games quicker, which is incredibly welcome. When Nintendo originally announced the NN3DS and trumpeted its "faster speed," I thought, eh, whatever. Big mistake! Going back to the original 3DS after using the New Nintendo 3DS makes you notice just. How. Slow. The handheld is. C-Stick: For years now, players have been asking Nintendo for a second control input to control the in-game camera—and more. So far, the C-Stick seems to do a serviceable job as a camera control in Monster Hunter 4G and, more importantly, it's a welcome addition to Super Smash Bros. for Nintendo 3DS. How The New Nintendo 3DS&apos;s C-Stick Works in Super Smash Bros.
Oh, and Monster Hunter. Let&apos;s not forget that. Very important! I'm very glad Nintendo added this stick. Granted, it's not perfect by any stretch—and I really hope the next Nintendo hardware iteration has a much better C-Stick. But for now, it'll do. Larger Screen (on the regular-sized NN3DS): The NN3DS XL's screen is the same size as the 3DS XL's, but the standard-sized New Nintendo 3DS does get a larger screen. As with the increased speed, the larger screen is most welcomed. It makes the handheld a little easier on the eyes, and actually makes the NN3DS a decent compromise for those who want a slightly larger screen, but don't want a large handheld like the XL. Better 3D: For years, I've hated the 3D effect for the Nintendo 3DS. Hated it! I didn't like how it felt like I was also adjusting the slider should my head move. It was not a pleasant experience—for me, at least. Yes, I realize many other gamers enjoy the effect. Well, good news, those folks should really enjoy how the Nintendo pulls off the 3D effect with the NN3DS. And grumps like me, who hated the original effect, might want to give it a second chance with the New Nintendo 3DS. Since the NN3DS now has head tracking software, it adjusts to you—instead of you adjusting to it. This makes a world of difference, and I've found the 3D surprisingly comfortable. It might have been a cost issue at the time, but Nintendo should have launched the original 3DS with this tech. I feel like it finally fulfils Nintendo's original promise of 3D gaming. The Touch Pen: Okay, it's...a touch pen. A stylus! Nothing revolutionary about that. But, the top end of it has a little tool that can help you pry off the changeable faceplates. It's a small touch, but clever. Look and Feel: I'll tell you want: The white with Super Famicom-colored buttons New Nintendo 3DS looks utterly fantastic. It's really a lovely portable. The nice, matte finish is smooth to the touch, and the NN3DS is just a pleasure to look at and play. It's subtle and classy. I like it. Power Button: I've previously addressed this, and it really feels like a design flaw. The power button is oddly...small. And because of that, you can press directly on it and not power on or off the consoles, because your thumb doesn't end up applying pressure to the small, round button. It reminds me of using a toothpick to put in a hole on a CD-ROM drive to get it to eject. While some gamers might think it's great that the console is hard to turn on (and off, for that matter) because they always leave their handheld in sleep, I just wonder why Nintendo couldn't use a more oblong-shaped power button that would still prevent it from turning on or off accidentally, but give you more real estate to press on when you power on or off the machine. Not a deal breaker, but still. 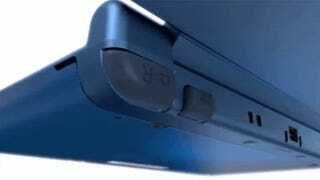 Flappy Hinges: Likewise, not a deal breaker, but something I hope Nintendo will fix in future portables. There's already too much flap and flop! 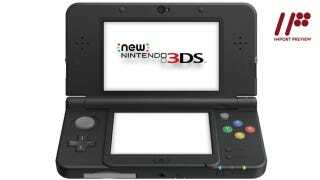 Separates 3DS Owners: When not releasing new games, Nintendo is releasing new hardware. And sometimes, it can feel like Nintendo is burning the candle at both ends. So now, there are games that run on the 3DS and have NN3DS specific controls, like the camera in Monster Hunter 4G and the Smash Attack in Super Smash Bros. for 3DS. But, in the future, there will be NN3DS exclusive games. Xenoblade Chronicles, for example. Monolith Soft&apos;s 2010 open-world RPG is going portable. How confusing is that for a regular consumer? Imagine buying a new Nintendo 3DS and Xenoblade, only to realize it is not a New Nintendo 3DS and your handheld cannot run the game. And as someone who now has a New Nintendo 3DS, I am happy (overjoyed!) that it will get games that will take advantage of its speed and power. If I did not have one (and wasn't playing on getting one), I'd be annoyed. Honestly, I don't like that. So? Should I get one? This is a nicely reworked handheld. It's still a 3DS, but it feels fresh, new, and most importantly, well thought-out. And you know what? So far, so good. The New Nintendo 3DS is the gaming equivalent of a tuned car. They might appear roughly the same, but open it up and look inside. It appears as though considerable work has been done on this handheld. You didn't answer my question. Should I get one? You know, you can simply enjoy your Nintendo 3DS and hope that this tanks so Nintendo doesn't release a buncha NN3DS exclusive titles. But let's be honest, this is a handheld with a new stick, two new buttons on the back, and more powerful innards. That's a significant change from simply a brighter screen. As time grinds on, Nintendo is going to release more and more NN3DS exclusive titles, perhaps trying to move everyone over to the NN3DS—if anything, I'm guessing to sell more hardware. Nintendo is a business, not a charity, so I understand that. So, if you like Nintendo games and if this does well, you're probably going to end up with one of these. Eventually. Okay, then. Which one should I get? 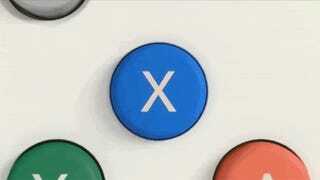 If you are simply going on appearances, the white one I got with Super Famicom buttons really looks the best. I think! The screen is bigger, so if you have a regular sized 3DS, the screen will obviously be a step up. Also, some people will get into the faceplates, no doubt, and those aren't available on the current New Nintendo 3DS XL units. Though, knowing Nintendo, I'm betting there will eventually be a faceplate NN3DS XL model. But if you are used to the 3DS XL's screen and like the GameCube color pattern, then go for that. I like the New Nintendo 3DS. I'm glad I got one. But I would have been happier picking this handheld up in 2011 when the 3DS was originally released. Guess I'll just have to settle for 2014. The New Nintendo 3DS is priced at 16,000 yen ($154), and the New Nintendo 3DS XL is priced at 18,800 yen ($181). It was released in Japan on October 11. Next month, the NN3DS will be released in Australia, and it is expected in North America and Europe sometime in 2015.